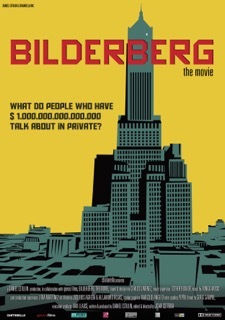 YOUR EVENING WITH DANIEL begins with a Premiere showing of BILDERBERG, the movie, followed by a Question & Answer session. Refreshments served and all ticket holders receive a FREE book. Bilderberg, The Movie is a documentary film about the origins, development and expansion of one of the most elitist and secret organizations in today’s world: The Bilderberg Group. Once a year, the most powerful people on the planet, meet behind closed doors. The Group is comprised of European Prime Ministers, American presidents, and the wealthiest CEOs of the world, all coming together to discuss the economic and political future of humanity. The working press has never been allowed to attend, nor have statements ever been released on the attendees’ conclusions or discussions, which have ramifications on the citizens of the world. In 1992, I had lunch in Toronto with a former Soviet KGB spy who predicted, with great accuracy, the 1995 Quebec Referendum and its dire consequences for the rest of Canada. Back then, it was hard for me to believe that you could actually “know” the future, that is until I realised many years later that world politics are not decided at the ballot boxes but in opulent hotels by a small but very powerful group of people. In 1993, I joined military counter intelligence and after spending over a decade in the service, I can tell you that I completely agree with Healey and Disraeli. Little of what we are told in corporate media about the functionality of the world around us has to do with reality. In fact, just the opposite is true. Delving into a world once shrouded in complete mystery and impenetrable security, BILDERBERG, THE MOVIE provides a fascinating account of the annual meetings of the world’s most powerful people — the Bilderberg Group. This film presents a human story that transcends decades, borders and ideologies. Using methods that resemble the spy tactics of the Cold War, I did what no one else has managed to achieve: I learned what was being said behind the closed doors of the opulent hotels and have made it available to the public. Designed by The Wild Word Press Women!